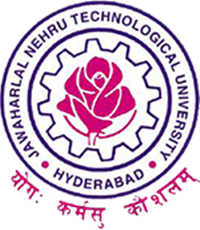 Sub: JNTUH – Exam Branch – VII Convocation – Final List of Gold Medals – Reg. The Final list of Gold Medals for VII Convocation is herewith enclosed. The candidates, who wish to receive the Gold Medals on the Dias in the VII Convocation, can register through online mode at the JNTUH VII Convocation website link: epayments.jntuh.ac.in/convocation on or before 28-04-2018. Each candidate will be given only TWO Guest entry passes, which can be collected from the Examination Branch on 07-05-2018 and 08-05-2018 during the working hours (between 10:30 A.M. to 5:30 P.M.). Further, if any issues are there, contact Dr. A. Kavitha, Additional Controller of Exams, JNTUH.